"The goal of Sunshine Pulse, as Aki Tanaka states, is to capture feelings of "wavering between hope and anxiety." Presented in a contemporary style - color images printed full-bleed and bound in a slick hardcover - Tanaka's photographs convey a deeply traditional message. Lustery images, tightly-framed in the smallness of the book, invite slow, close consideration of moments of sunlight as it passes through and around the petals of cherry blossoms." 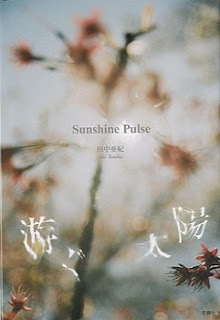 --- from Nicholas Chiarella's review of Sunshine Pulse by Aki Tanaka in photo-eye Magazine.